We know what you are thinking- this is an oxymoron, right? When most of us think about all-inclusive resorts we picture cattle-calls for sub-par food, jam-packed beach space, entertainers leading the Macarena with bullhorns, cheap booze and the bare minimum of room amenities. But that is not necessarily the case anymore. These days you can find all-inclusives that cater to a more luxury crowd. Few can be considered truly 5-star but Petron and Dewars can be found at the bar, spa-quality amenities are popping up in the guest rooms and excellent food is being prepared by celebrity chefs. What’s more, some hotels that are traditionally "European plan" properties have gotten in on the game. Ritz Carlton and Melia Hotels, for example, have recently began to negotiate group contracts with all-inclusive pricing. This trend does seem to specific to the Caribbean and Mexico, however. The US and Europe may never embrace all-inclusive pricing so it seems that a luxury version is an extremely distant possibility. Nonetheless, the trend certainly is great for individuals and groups wishing to travel to better Caribbean properties on a fixed budget. Many of these hotels are capitalizing on the fact that current popular opinion shows distaste for expensive corporate retreats. Brand discrimination has become big business as so many companies pull away from the luxury hotels in favor of one with less opulent name associations. No one wants to seem to be doing anything very extravagant, lest their stock holders throw a tantrum and the national media throws them under a bus. Stock holders might blanch at the idea of having a corporate retreat at the Ritz or a sales incentive at the Four Seasons but would they even bat an eye at the meeting held at the Omni or Westin? So, as eyebrows are raised and budgets are slashed, we have seen a huge movement in the meeting and incentive industry towards 3-4 star hotels. The competition at these hotels has become fierce and the battleground is the spa. As you may suspect, along with the luxury comes a hefty price tag. Even at the less expensive properties, you can expect to pay upwards of $200 for a 60 minute massages and a manicure could cost you over $100. 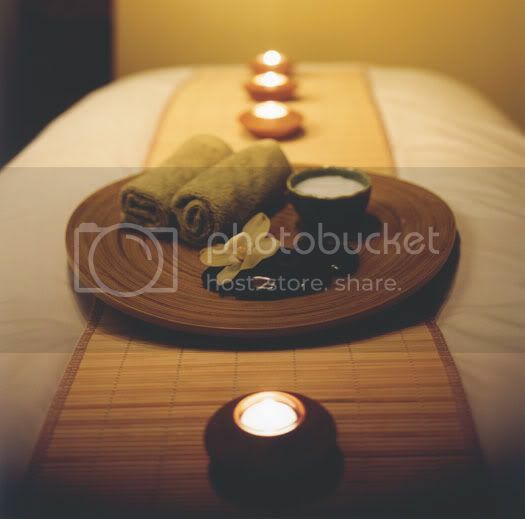 Of course, they need those high treatment prices to pay for the astronomical upkeep of the spa itself. You have to keep the plunge pools hot/cold and full of water, keep the saunas steamy and mud baths muddy, employ a variety of staff positions from receptionists to therapists, keep a decent inventory of high-end spa products, provide all manner of courtesy items (from tea, towels, robes and slippers to hairspray and tampons), employ laundry and housekeeping services as well as gardeners for the flora (especially in the tropical locations), the list goes on and on. Is the cost worth it? Every time I have visited a hotel recently and taken a tour of the spa, it has, without fail, been empty. Perhaps I always came at the wrong time or they had cleared the place out especially for us. However, it does beg the question of whether the price of building and maintaining the spas are cost effective. If people are drawn to a location BECAUSE of the spa, does it matter whether or not they actually USE the spa? The properties are still making money on food and beverage, room rates, resort fees and other extras such as tours and equipment rentals. In the case of group travel there are also AV and entertainment costs, f/b minimums, room rental charges and other assorted fees. But is it enough to cover the loss of revenue on an empty spa? The entire industry is struggling and any way to boost sales and occupancy is excellent. However, I would really like to know if the spa-wars are working for these hotels. I welcome feedback as to whether they are measuring the true ROI of the additions. Is the gain worth the cost? Would you choose a hotel because of the spa? And looking to the future, what do you think will be the next big draw? She described how her company was purchased by AIG who had a company sponsored incentive program in place. The program is laid out like this; her boss would let her know at the end of the quarter how much bonus money she would see on her next paycheck. That was it. No explanation of why she was receiving the bonus, no feedback whatsoever. She thought that this must be the result of the media’s infamous slamming of AIG senior staff receiving large bonuses and extravagant travel. She assumed that now they were trying to “spread the wealth” to some of the worker bees but she didn’t really understand how it was supposed to motivate her. She said that she would appreciate knowing specifics of why she made the bonus, how she could improve, etc. She also expressed how much she loved her job, enjoyed giving excellent customer service, and would do it whether or not she received an incentive. Every company dreams of great employees like her- people who's jobs give them enough satisfaction that they want to work hard- but it is certainly not the norm. Most employees need some sort of motivation to push them to achieve company goals. But in order for the goals to be reached, the carrot needs to be clearly understood. I find this phenomenon more often than you can imagine. A company puts significant dollars into an employee incentive, but does not bother to make sure it is communicated and managed well. What a waste of company resources! A poorly designed and administered program is sometimes worse than none at all. Let’s use those dollars to implement a truly exciting and motivating travel or merchandise program instead of using it towards a cash bonus. Studies have proven time and again that cash is not motivating. They would get so much more for their money with travel or merchandise. Of course, given the parent company is AIG, you may think that travel is not the best choice. However, it could be if laid out and planned properly. If they chose to communicate the business case for implementing a travel program focused on the workers and not the highly paid executives, it could go a long way toward improving their image in the marketplace. With results measured through a well done ROI analysis and feedback from the participants to gauge its effectiveness, they could turn lemons into lemonade. AIG… give us a call!